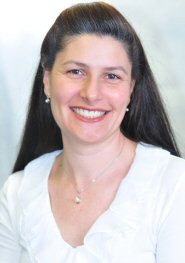 Dr. Ligia Westrich joined the School of Pharmacy in March 2012. As an Assistant Professor of Pharmaceutical Sciences, Dr. Westrich teaches and engages students in active learning of pharmacology and medicinal chemistry as well as advising them in their coursework and unveiling knowledge about future opportunities in pharmacy practice. Before joining FDU, Dr. Westrich completed a postdoctoral fellowship at Lundbeck Research USA where she studied the effects of various antipsychotics and antidepressants on models of mood disorders. As part of her scholarship endeavors, she continues to design, validate and implement preclinical in vivo and in vitro assays to elucidate the mechanism of action of investigational multimodal antidepressant drugs. Dr. Westrich has a background in molecular, cellular and behavioral neurobiology. Her research is focused on receptor pharmacology and signal transduction pathways involved in neurodegenerative and mood disorders. Her work has been presented at scientific meetings and been published in high-impact, peer-reviewed journals. Dr. Westrich enjoys mentoring students through their journey in acquiring knowledge that will enhance their ability to make a professional impact as pharmacists in tomorrow’s health care.